Come in for a hot tub soak at the Sunwrights Hot tub and spa showroom in East Hartford CT. You and your family will agree that a hot tub purchase just makes sense. The owners and staff at Sunwrights Spas in East Hartford want to show you the Caldera and Sunrise hot tubs we have in our store. For the ultimate in relaxation and health benefits, you will wonder how you ever lived without a bubbling hot tub in your yard. Come down to the Sunwrights showroom, minutes from Manchester, Bolton or Andover. 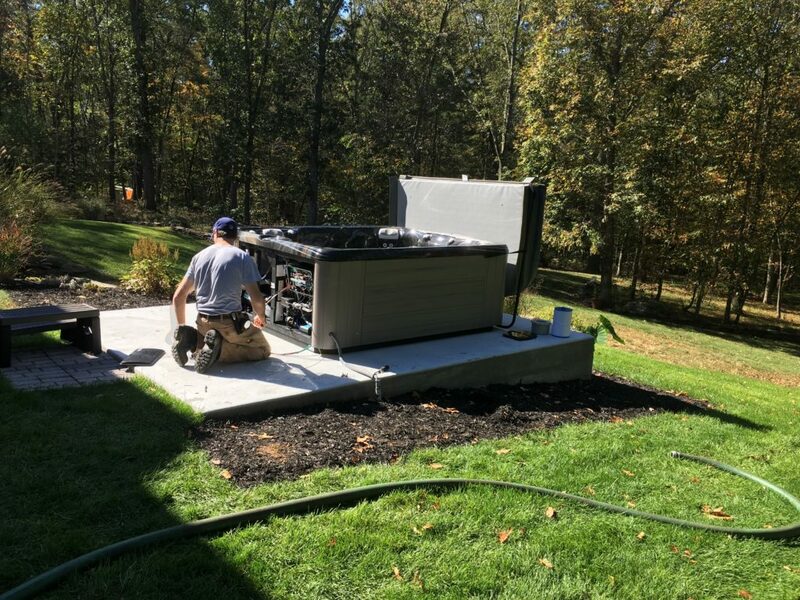 Sunwrights Spas is the premier hot tub supplier throughout the entire state of Connecticut. Don't take our word for it - enjoy a relaxing test soak and see what you have been missing! Our Sunrise and Caldera Hot Tubs are high quality, beautifully designed, and available in a variety of sizes. Rest assured you will receive expert advice while shopping for your perfect hot tub, and the professionally trained and licensed staff in our Technical Service Center will provide any service, repair or advice you require after your purchase. We are a full service hot tub and spa dealer and our service area includes CT, RI, NY and MA. We have everything you need to keep your spa running in peak condition right here and our technicians are the best in the business. Call Sunwrights today: 860-282-7727.